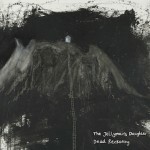 After meeting in 2011, Edinburgh-based duo The Jellyman’s Daughter released their debut album in late 2014. Emily Kelly (vocals/mandolin/guitar) and Graham Coe (vocals/cello/mandolin) now offer us “Dead Reckoning,” with poignant originals that will help folks navigate life. Not just another indie-folk duo, The Jellyman’s Daughter incorporates highland tradition and contemporary sensibilities into their highly arranged music. Guests on fiddle, banjo and bass, along with string orchestration on several tracks, provide the dynamics that make for an evocative musical journey.